Editor's Note: A few weeks ago I was contacted by Baoshan about his application named Tonal. With several hundred messages perpetually in my inbox, I'm unsure why I read the entire unsolicited email. There was something about him and what he had to say that really drew me in. The more I read the more I liked what he had to say and I liked his project. Undoubtedly, Baoshan's humble demeanor and ending sentence spurred me to want to hep him. "Please let me know if you think the concept is promising. Your valuable opinion will help me a lot! If you think the great community of Computer Audiophile may enjoy the concept, do you mind me introducing the Tonal app to the community?" 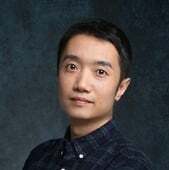 After reading three of Baoshan's previously published articles about Tonal, on Medmium.com, I knew his application would be of interest to the CA Community and I was 100% positive that this community could help him take it to the next level. In our exchanges he continually asked for feedback in order to improve upon his years-long effort. Thus, I offered to publish an introduction to Tonal, written by Baoshan. There's no better way to obtain positive feedback, negative feedback, and constructive criticism than to ask a group of opinionated, yet very dedicated, audiophiles what they think. I close this introduction to the Tonal introduction by saying Baoshan's app isn't perfect, but his ideas and thought process about the app and where he wants to take it are excellent. My request of this community is that we offer constructive feedback. We all love competition and options. This is our chance to help improve upon a software application / option and our own hobby. A community is, at its very essence, a place where stories happen. If one more story about how an audiophile endlessly pursuing a better music collecting experience still sounds interesting to members of Computer Audiophile, it would be my honor to share mine. I bet you can easily recall the first few albums you’ve ever collected in your early years as a collector. Do you still enjoy playing them? As a collector, things usually go smoothly for the first years: more albums were added, in both physical and digital formats, scattered in IKEA CD racks and hard drives. In a summer weekend, you decided to start ripping all your physical albums into a lossless format to take all the digital advantages. An expensive 5-bay Synology NAS was on its way. You were very, very happy: “Hooray! Technology!”, you yelled. It seems a music player is the last byte required to connect you to your private digital collection. You’re absolutely right: for collectors, the music player IS their digital collections. When it comes to the choice of music players, I wish you don’t mind me take portable players and those fancy chassis with built-in SSDs off the table: they usually have a relatively short lifecycle. At least, they can not be my only choice. Well maintained software, on the other hand, greatly eliminates such concern. As for the Holy Grail of music player software, different collectors hold different definitions. Prejudice may probably be the biggest enemy of creativity. In most realms, masters continuously seek innovative but natural approaches to tough problems. So, let’s dive into the music player issue more deeply. Will streaming services finally replace music player software? My answer is a resounding yes, with some fine print. In the foreseeing decade, there’s no chance that any streaming service could offer a decent coverage for hard-core collectors. I believe music player software focusing on private digital collection have a lifespan of 10+ years from now. In the meantime, things evolve and boundaries might be blurred. Do audiophiles need to keep their collection locally? My answer is no. Audiophiles keep their digital collection in internal SSDs, external HDDs, SD cards, or NAS. They not only pay for the devices but are also responsible for the durability and accessibility. Have you ever lost an album due to an unintended operation or failure of spinning magnetic media? Amazon S3 can provide 99.999999999% annual durability. I doubt my manual backup or a RAID 5 configuration can score higher. I guess external hard drives and home NAS may become history someday. With the invention of decentralized storage systems, your digital collection could be further secured from failures caused by any 3rd party. Can music players touch the audio files? Ripping errors can be fixed (the best case) or detected (the worst case). Hats off to AccurateRip and CUETools. Transcoding via a natively supported encoder (FLAC is natively supported by macOS, iOS, and Windows) eliminates 3rd party decoders when playing music. This not only minimizes the software footprint but also reduces the unpredictability of audiophile performance. A new file format could be designed to further optimize streaming performance and enhance privacy. Is there still room for a new playback engine? Existing vendors usually treat the technical design and implementation of their playback engine as a “black art,” not willing to reveal the internals. A microkernel with less than 50 disassembly instructions is implemented. As a benchmark, the latest GPL version of a well-received audiophile-grade player has more than 1000 disassembly instructions serving exactly the same purpose. Also, zero-configuration is favored over a preference panel. All related parameters are automatically optimized for your exact environment. Can we have perfect metadata without the need to make edits? Metadata is the foundation of collection management. I hate imperfect metadata. I hate editing metadata by myself in a music player. But, am I talking about contradictory requirements? Inspired by Wikipedia, can we invent a genuine innovative metadata engine which focuses on standard, quality, simplicity, and community collaboration? Can we clearly define the minimum scope? For every designer, the seeking for the minimum scope means a lot: it’s the DNA of a product. High-end audiophile market accepts well designed and engineered gears with quite limited scope, but rejects poorly designed or engineered gears with many fancy features. From mid-2015 to early 2018, we were working quite hard on our (different) answer to the (same) music player question. We named the project “Tonal”. On May 13, the Tonal project finally came to her initial release. You can download it from here (currently, only macOS is supported). In short, Tonal is a minimalist music app for collectors and audiophiles. With Tonal, your complete digital collection is organized in one place and is ready to be streamed anytime, anywhere. That may sound unfancy, but there’re three foundational innovations which clearly differentiate the Tonal experience from the competition. 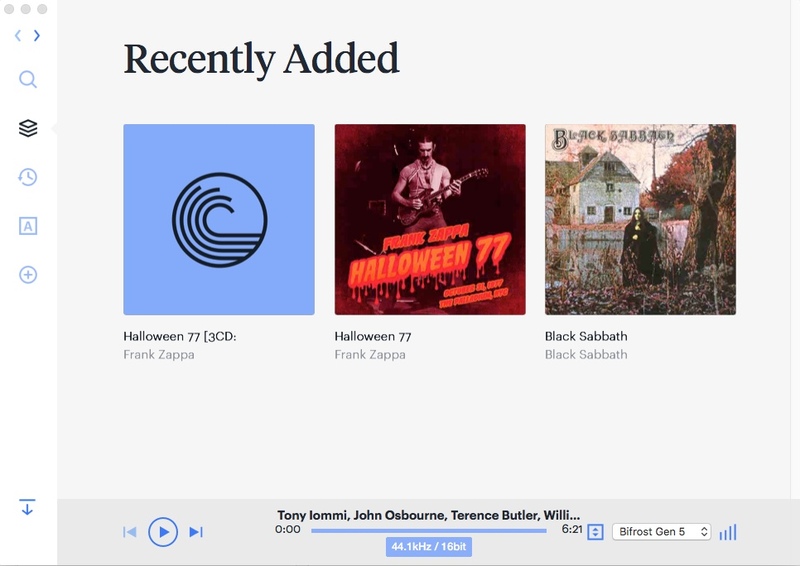 A managed cloud-based music locker service with audio quality verification built-in. An innovative metadata solution which focuses on standard, quality, simplicity, and community collaboration. A well-crafted playback engine which ensures highly predictable audiophile performance. We’ve prepared a series of articles for those who are willing to know more details about the design of Tonal. Read these articles on Medium. Below are some screenshots which could help you grasp the core concept before trying it on your own computer. Frankly speaking, the designing of Tonal is an adventure full of fear to me because Tonal takes completely different approaches for basically all the sub-problems a music player faces. I wish members of the Computer Audiophile community could kindly offer comments and critics on different aspects of Tonal in depth. I’ll always be open to your opinions. Tonal is still in her infancy. Software needs maintenance, maintainers need to subsist. If we, the Computer Audiophile community, believe the concept is exciting and promising, I’ll do my best to find early-stage investors or business partners. A crowdfunding campaign may also be feasible to support the project before enough revenue could be driven by a subscription (or one-time payment) based business model. I would like to thank Chris Connaker for offering me such a great opportunity to reach millions of Computer Audiophile members. I would also like to thank Kirk McElhearn for supporting me since I worked on the International Classical Music Database initiative. Very interesting program you have created. I have had some difficulty getting it to work for me. I uploaded a couple of CD's and even though they show, they will not play. When I click the play, I just get a spinning icon. The second issue is one of the CD's I uploaded was a 3 disc set. 2 of the discs were identified properly but one of then was not. The album is Frank Zappa Halloween 77 3 CD set. Discs 1 and 3 have proper metadata and disc 2 shows as a separate album with no art work. Is there a way to edit the metadata? Thank you for your reply, Marc! I’m sorry for the trouble Tonal brought. I hope the metadata issue has gone. Please confirm. I’ve made some magic to the metadata. On the playback issue, may I know if it plays fine on your internal speaker? If it plays fine on your internal speaker, we can focus on your specific selected device (Biforst gen 5). Have added 4 hires (24/96) flac files from external hard drives. Different genres (rock, jazz, classical) and metadata all handled very nicely. Question: Where are the music files I have added being stored? It appears somewhere in the cloud? Is there a limit on the amount of storage? Could I add a terabyte (or more) of data if I wanted to? (That would take a bit of time - seems to take several minutes to process each music folder.) Is there a chance my data might just disappear in a puff of smoke some day? Thanks for the opportunity to try this out! Follow-up: The fifth file I tried to add has failed. Flac 24/96. It seems to process, and I get the "success - you have added the disc" message, but it is nowhere to be found. I have also tried searching by name - no results. Tried this 3 times now with same folder - same results - nothing added. Hmmm. Any thoughts? Thank you very much for giving it a try. Where are the music files I have added being stored? It appears somewhere in the cloud? The audio (in a proprietary format, without any metadata or personal information) is secured in a content-addressable cloud storage (Amazon S3). The key to access above audio and link above audio to according metadata is registered in your private iCloud storage. Only you have the read/write access. Since we only store the key in your iCloud storage, the extra storage required for iCloud drive is quite small (usually in kilo-bytes). We don’t know our users’ name, email, iCloud account, etc. Is there a limit on the amount of storage? Could I add a terabyte (or more) of data if I wanted to? There is no limit, as long as my credit card backing my AWS account is not maxed out. Is there a chance my data might just disappear in a puff of smoke some day? In the current architecture, I need to keep my AWS account active for users of Tonal to access their data. I’m open to decentralized storage solutions, which could totally eliminate any 3rd party in the chain. On the adjustable preferences topic, I think there’ll be a day we need to introduce a preference panel. But must audiophile related parameter is optimized automatically. Also wanted to say that the interface is very nice! Clean, uncluttered. Album art looks great. I'm in based on the pictures. What's the Github link? Unfortunately, just had another failure. Flac , 24/96, classical. Spent a number of minutes processing and got the success/added message, but it is not there. So have added 5 out of 7 - two failures. Thank you for letting me know this issue. Can you see the album in your collection now? Please let me know. Yes, thank you. One of the missing is now there. This might be a problem for me. The vast majority of my hires files are digitized from my record collection. I also have some that I have purchased from HDTracks - does your metadata source work with HDTracks? (I have thousands of CDs that I spent a long time ripping to iTunes - and I use iTunes and/or Audirvana to listen to those and would not plan to again take the time to add them to the Tonal cloud.) The strange thing is that all of the albums I have successfully added are also vinyl rips - seems some work and others don't. Does your metadata source work with HDTracks? Yes. Most albums from HDTracks have their compact disc counterparts. Tonal has a playback engine designed for predictable audiophile performance. I believe there’ll be some community members interested in the playback engine design. Plus, if you enjoy the metadata Tonal renders, I truly wish you could give Tonal another try. The GitHub links reveal how the metadata engine of Tonal works. Please ignore them if you’re not interested in the internals. DSD is certainly among the top wanted features and is technically quite feasible. Then Windows (PC) support. The 1st item on my to-do list is finding financial support for the project, covering at least the next 6 – 12 months’ design and development. I believe the project is promising and deserves a dedicated team. Please forgive me for not willing to add DSD support today. Metadata has been fixed for the Zappa album. Plays fine through the internal speakers but does not play when Bifrost 4490 is selected. Hi Marc, It’s very interesting. Could you confirm no other application is hogging the Bifrost (do you mind restarting your Mac)? Do you have another DAC in your hand? Does any other DAC work? If the problem still exists, I’ll dig into the issue. The Schiit Bifrost 4490 is the only DAC I have. I will reboot the system and report back in a few minutes. Thank you for your time. Reboot did not remedy the problem, sorry. Thank you Marc for your feedback. Stay tuned on the Bifrost 4490 issue. It is a very popular DAC in the USA so will be worth the time to figure it out. I am in no rush. I am sure you have many things to work on. Will your app support multi-DAC chips for headphones in certain flagship smartphones such as the LG V30's Quad DAC? Would be awesome if it did. The cover art does not match the actual lp cover (even when the actual cover art is included in the file folder) - Tonal must just try to make as close a match that it can based on other information. A minor nit, I guess, but I am would prefer the actual cover art. Like the cover art, Tonal is making an educated guess at the name of the LP - though close, the guesses are sometimes off, different from what is possibly a more accurate name. Again, a minor thing, but it is a little disorienting to see the titles changed to something different than what I have provided. At this stage in its development, at least, Tonal is probably better suited to CD information rather than needle drops. I also noted it would not accept an ISO file. I am going to experiment a bit with some of the files of CDs that I have ripped from my collection currently located in my iTunes library. I haven't yet done any A/B listening comparisons (listening to the same music on Tonal as compared with Audirvana or HQPlayer), but Tonal does sound good. Thank you for sharing your discovering! The metadata (cover art, album title, etc.) you see is generated by a sophisticated algorithm. But the metadata does not end there: you can edit it by yourself, or you can PM me (the only contributor for now). Once the cover art (and/or the title, etc.) is updated, your collection will be reflected in real time. But you’re correct: Tonal is designed with ripped or downloaded lossless music in mind. Issues related to needle drops need to be re-considered more thoroughly. Thank you for your suggestion. Windows and Android platforms will be scheduled after iOS. The macOS/iOS combination needs to form a reference experience first. I’m intrigued. Will give it a try. Like to try, but not ready to upgrade to High Sierra.